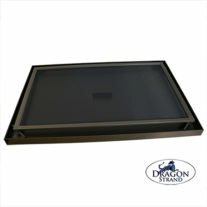 Drainage and Substrate trays are purchased separately. 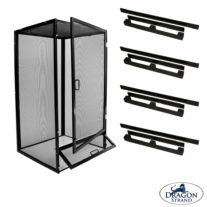 Your choice of drainage tray depends on your cage decoration strategy. 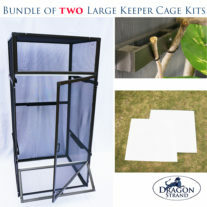 The Large Keeper Screen Cage is compatible with the following Drainage Trays. Clear Floor = Large Keeper Drip Easy Drainage System. 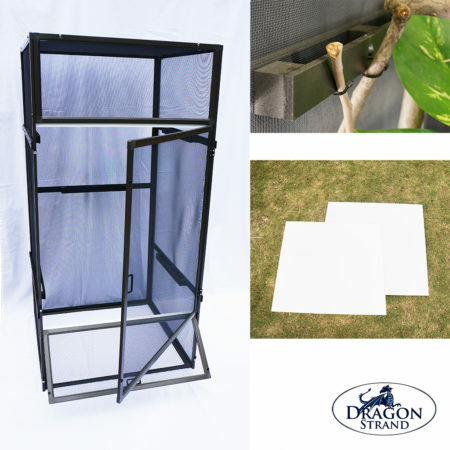 If all plants and landscaping is mounted with the Dragon Ledges and the floor is clear you may use the Drip Easy System which provides a screen floor panel to replace the standard PVC floor panel. This removes makes the floor seem to disappear and provides a much nicer visual effect for naturalistic cage set-ups. 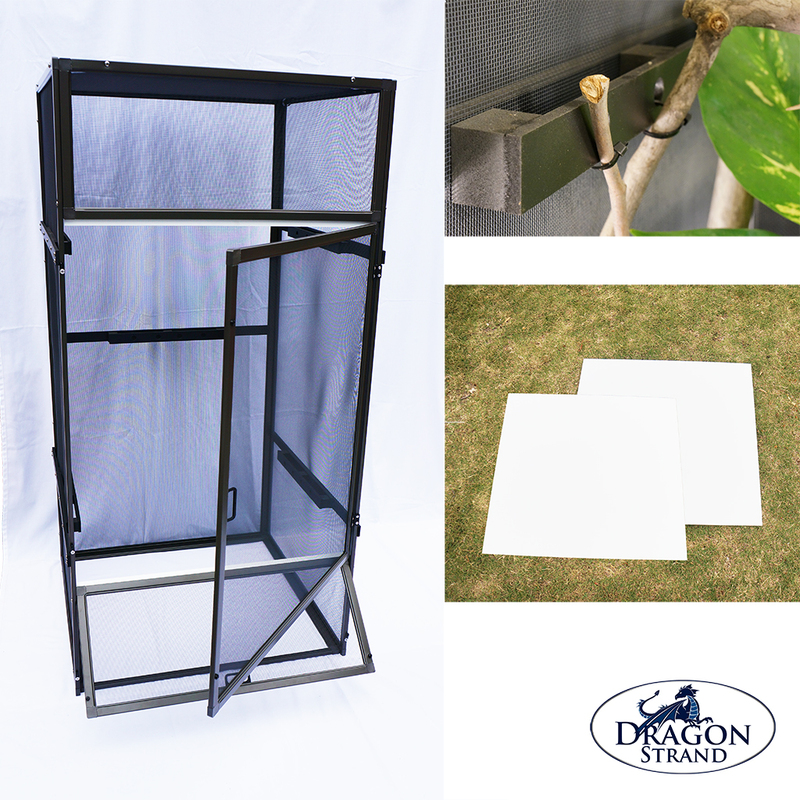 Multiple Floor items = 25″ Heavy Duty Drainage Tray. 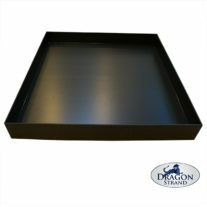 This tray providesmore support for the PVC floor and allows more placement of pots and floor items.